Just two Dotz Matrix fixtures turn the whole room green. Five ADJ Vizi Beam RXONE fixtures with yellow gobos in use. 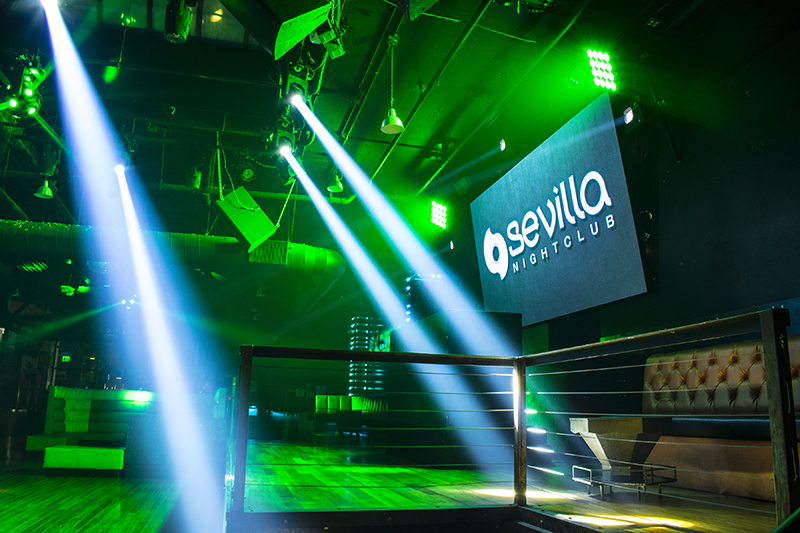 When the management of a popular California nightclub decided that it was time to invest in an upgrade to the venue’s lighting system, they opted for an all-ADJ package of fixtures. Including moving heads, washes, effects and an updated control system, the upgrade has delivered a new lease of life to the club. 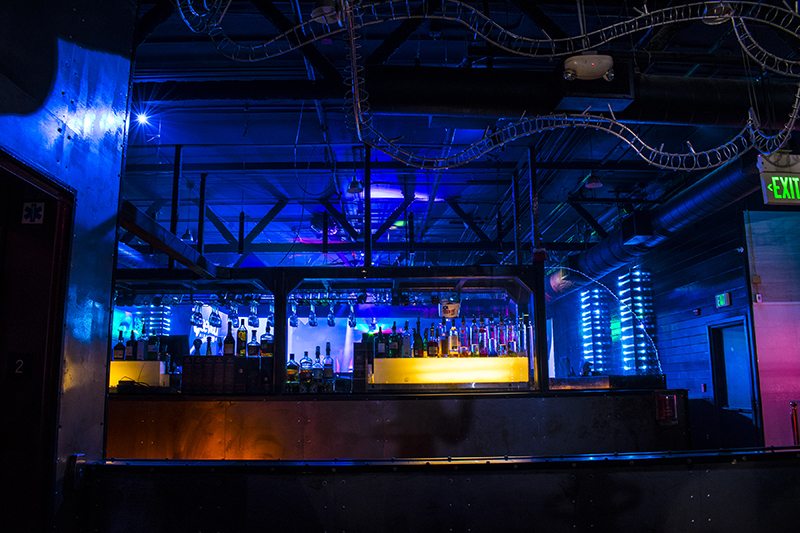 Not only has the atmosphere on the dance floor been lifted, but new customers have been attracted to experience what it has to offer for the first time, which has helped to cement the club’s place in the local nightlife scene for many more years to come. 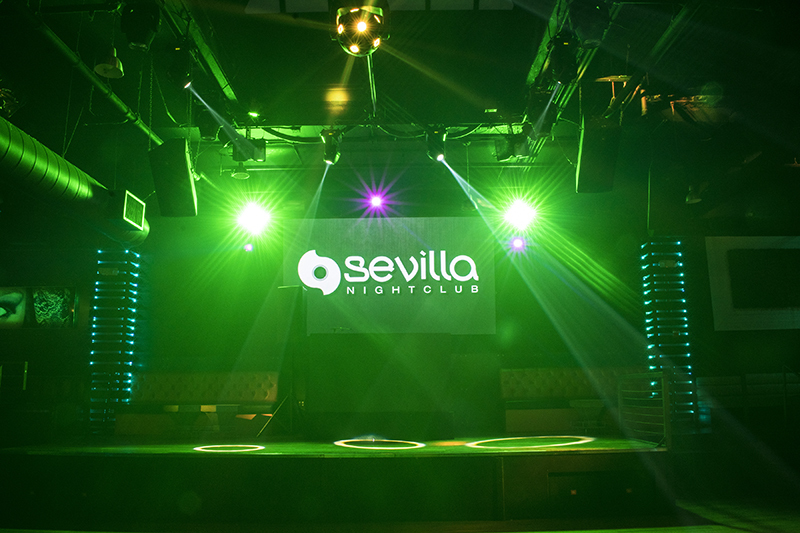 One of a chain of three venues located throughout California, the Sevilla Nightclub is well established in Long Beach. In fact, local DJ turned lighting designer Edgar Gonzalez has been a regular at the venue for many years. Having built up a rapport with the club’s management, this meant that when the decision was made to revitalize the club’s lighting system they immediately reached out to Edgar for help. 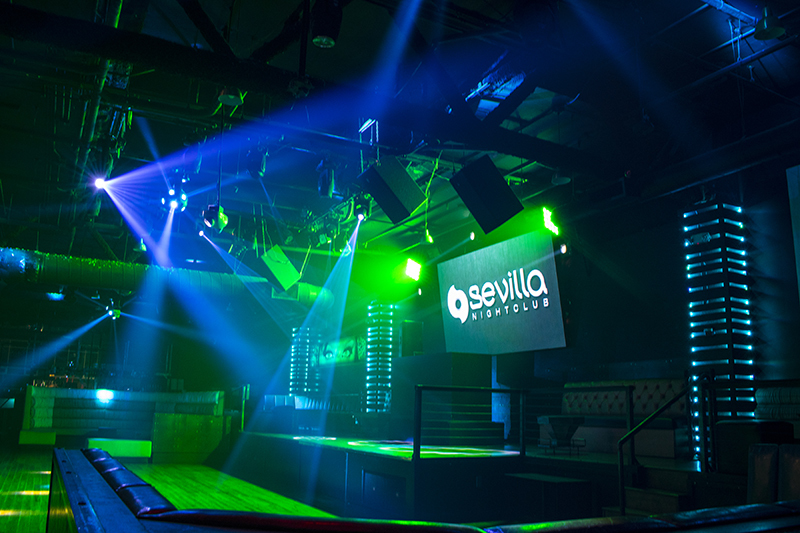 Edgar started out by meeting with the Sevilla Long Beach team, headed up by nightclub manager Elvis Diaz, to find out exactly what they wanted to achieve with their new lighting system. Edgar then invited them to ADJ’s Los Angeles showroom to try out some of the fixtures that fit within their budget. After getting feedback from Elvis and his team, Edgar then narrowed this down to a final proposal, which was accepted, supplied by local ADJ dealers Six Star DJ, and installed in time for the club’s 2018 New Year’s Eve Party. ADJ Fog Fury Jett high velocity fog machines keep the haze going. 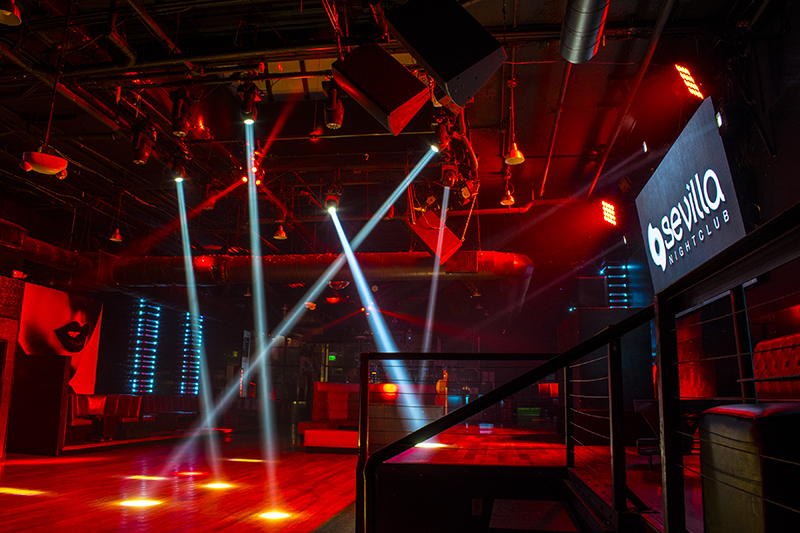 At the heart of the new system are five ADJ Vizi Beam RXONE fixtures, which are arranged in the center of the club’s long main room, above the dance floor and in front of the stage. 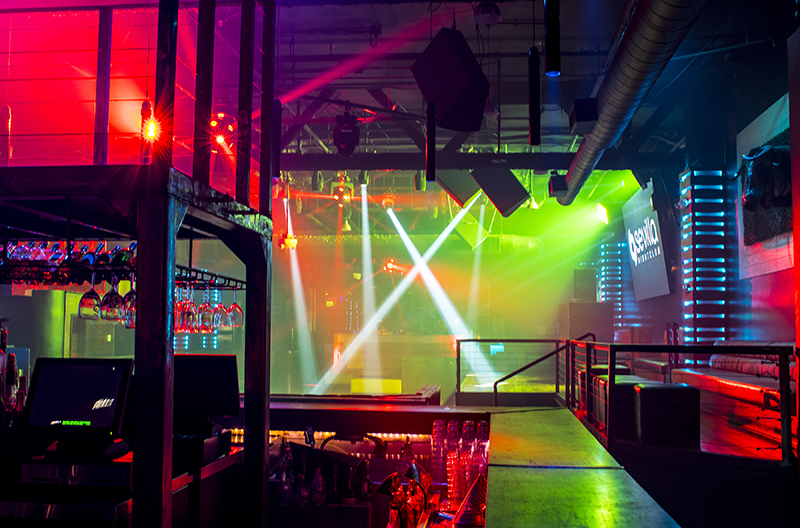 A potent moving head beam fixture, the Vizi Beam RXONE features a powerful 1R HTI long life lamp and generates a sharp beam that is ideal for generating mesmerizing midair effects in a nightclub environment. The Vizi RXONE is used at Sevilla to serve a number of very different purposes. At the beginning of each evening the 16-facet prism is used to create a wide pattern effect that is programmed to move slowly around the dance floor to set the mood before it starts to fill with people. Then later, when the dancing is in full flow, the fixture is used to punch through the smoke in the venue to create energetic mid-air beam effects. Finally, the fixtures have also been programmed to serve as static stage wash lights when required. With their in-built frost filters engaged, the five units are able to fill the whole stage area with an even wash of color to provide illumination for live performers and dancers. To round out the dance floor lighting, three of ADJ’s unique Asteroid 1200 spherical 360-degree rotation pixel beam moving heads were installed in place of the mirror balls that used to be in the club. One sits directly over the middle of the dance floor, while the other two extend the lightshow out to the sides of the room. Each generates 12 potent beams of light, which project out from every side, enabling three Asteroid 1200s to fill the venue with movement and color. The Asteroid 1200s also look great when used in conjunction with the moving head beam effects. Dotz Matrix 4×4 COB LED pixel fixtures flank the stage. A video screen sits in the middle of the club’s stage, and that is now flanked by two of ADJ’s Dotz Matrix 4×4 COB LED pixel fixtures. 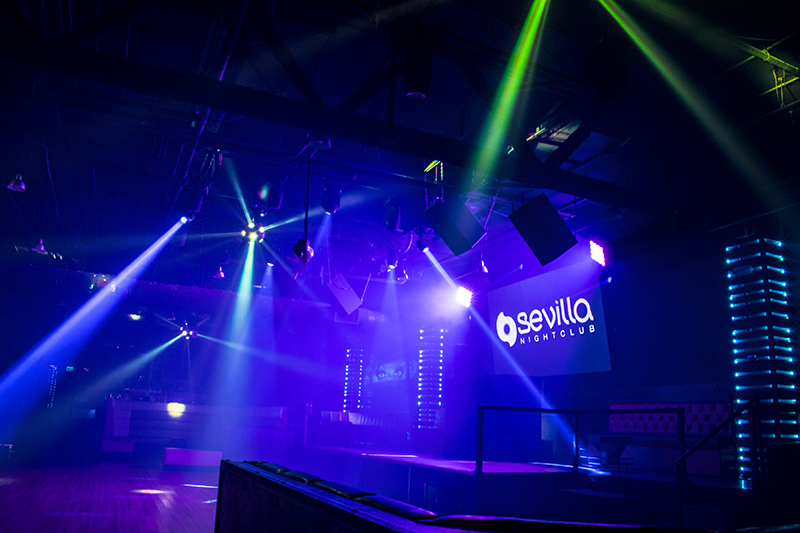 These were chosen for their flexibility, and have been programmed by Edgar to fulfill a number of different roles as part of the club’s lightshow. They generate pixel-mapped “eye candy effects” and also serve as color washes for the dance floor as well as stage blinders and even house/work lights at the end of the night. The club’s video screen has also been surrounded on three sides by ADJ Ricochet LED-powered beam effect fixtures. These unique units — which generate laser-style mid-air beam effects — were chosen and positioned to create effects such as ‘liquid sky’ just above the heads of the crowd on the dance floor, without the safety concerns associated with using powerful laser fixtures pointing towards people’s faces in what is a relatively small space. 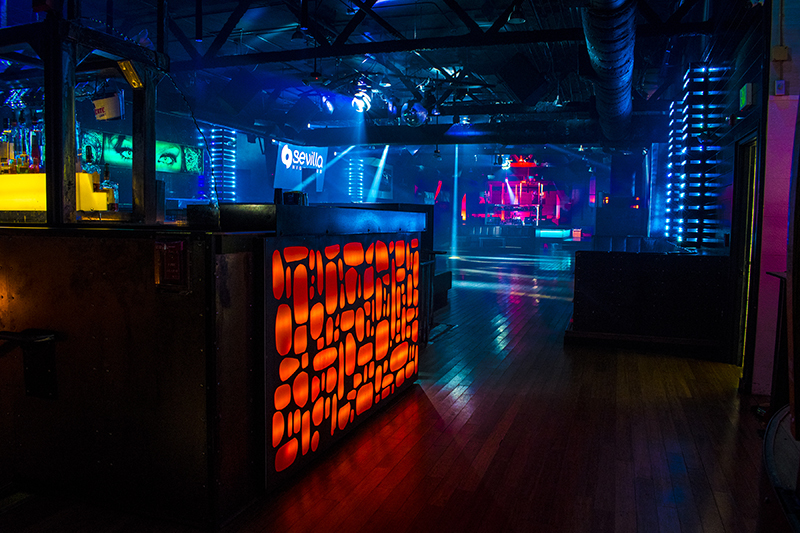 The club has lounge-style seating areas on both sides of the dance floor, and Edgar also wanted to extend the lightshow, to a degree, into those areas. To achieve that, he specified six of ADJ’s new Pocket Pro moving head fixtures, which pair a bright 25W white LED light source and the flexibility of replaceable gobos. ADJ’s Compushow SDE was used to run the lights. To complete the installation, two ADJ Fog Fury Jett high velocity fog machines were positioned above the front of the stage, pointing down into the crowd. Illuminated by 12 3W RGBA LEDs, the Fog Fury Jett creates blasts of colored fog that can be directed at any angle. 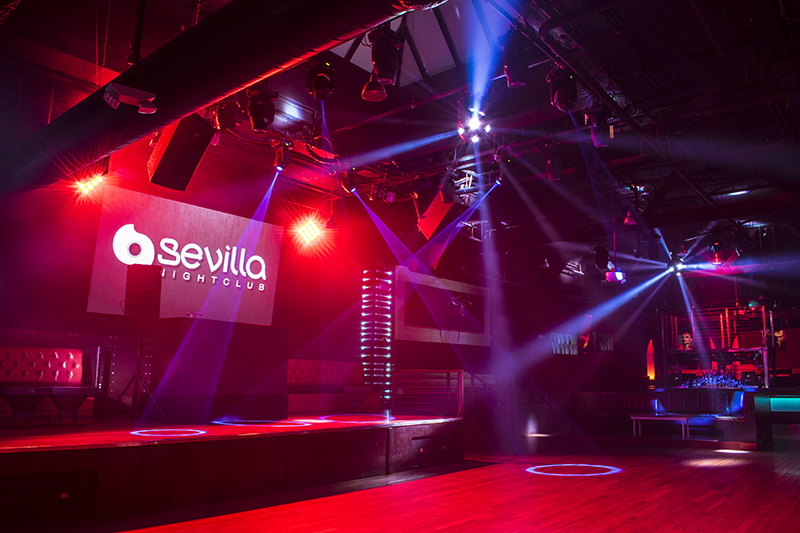 At Sevilla, these units are used to create CO2-style bursts of fog that shoot down onto the dance floor, while simultaneously providing fog to enhance the beam effects of the lighting system. 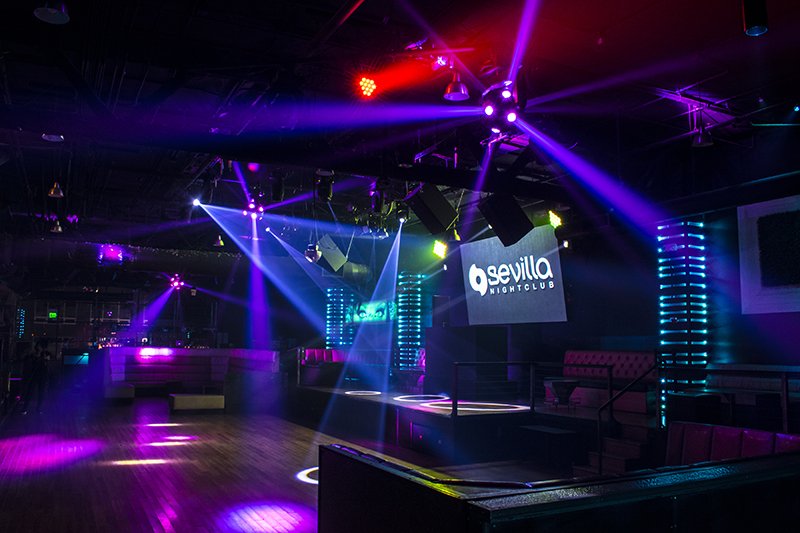 For control, Edgar suggested that the club upgraded its current outdated DMX software system to ADJ’s Comp Show SDE coupled with an Elation Professional MIDICon to provide a hands-on interface for the club’s lighting operators. This was then hooked up to an ADJ D6 Branch DMX signal splitter / amplifier which distributes the control signal to the various areas around the club in which the lighting and effects equipment is situated. 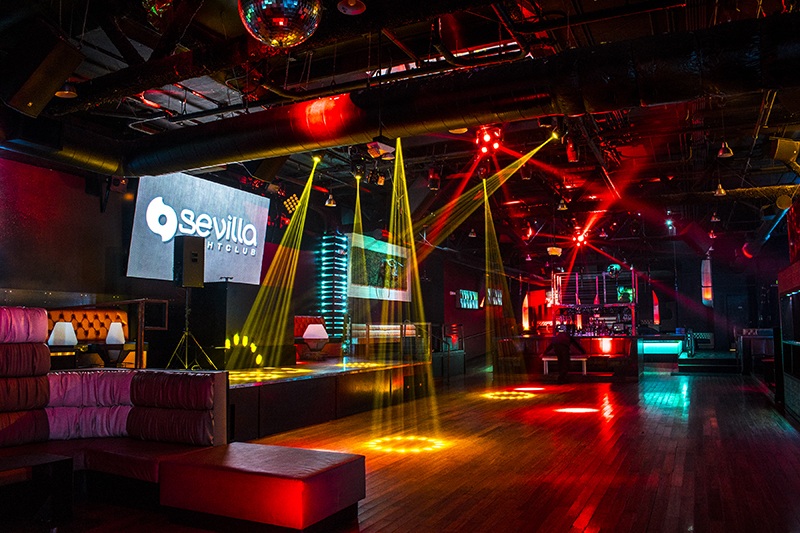 The upgrade at Sevilla Long Beach shows how, with the right team and the right products, lighting can really make a different to a venue — even without a huge budget. Asteroid 1200 spherical pixel beam moving heads throw lavender beams. Pocket Pros were used to add some light to the lounge areas. The intensity of the white RXONE fixtures is impressive.